Really good article, makes me think! Never quite targeting my audience this way, but I love this approach. It helps me really focus in on who I am serving. Thanks for the insights! Thanks Paul, I agree it can be very useful to focus on who it is we’re serving. Thanks Paul, it’s definitely a great way to get specific. For me, it removed some of the feelings of overwhelm and allowed me to just connect with one person instead of an infinite # of people with infinite needs. You can always improve your avatar. It’s so important to know who you are talking with your content. Great advice here. So true, Alex. It’s easy to tick avatar off our to do list as a completed item, rather than taking the time to improve it. Thanks Alex! I agree, I have found that my avatar “Bob” has changed a lot since I started The Boomer Business Owner. It’s a relationship that’s never finished, and is always evolving. Really like this article and the embedded, helpful Infographic, Such a great example used to show why and how important it is to dig down to the deeper levels for an avatar. Defining an avatar can be a constant struggle as it’s so easy to gravitate towards inclusion rather than exclusion. After all when starting a business it’s counter intuitive to exclude customers right? Charlie really nails why narrowing the avatar is vital for success. I’ll surely be leveraging his words of wisdom! Dean, I agree, I still find it counter-intuitive to exclude customers, yet it is so important to niche down. I hope you find Charlie’s advice for narrowing down helpful. Thanks Dean, I completely agree with you – it can be really hard to say “nope, my brand is not for x, y, and z type people.” – especially when first starting out! But having the confidence to differentiate yourself and the confidence to get specific is what will draw people to your brand. Great information here on targeting your avatar. It is do important to know who your audience is exactly . Maureen, agreed. Thanks for commenting. I agree, thanks for your comment Maureen! This made me think for a minute. You’re right one thing that people forget is how to use their avatar to their advantage. Great advice! Thanks Justin, it’s an easy thing to gloss over but a powerful tool if you take the time to think about it. Thanks Amber!! This is one of my favorite topics indeed, glad you enjoyed the post! Great article and info graphic! This is such a super important and often overlooked subject! It’s so important to get beyond the surface basics and this post certainly gives some great advice for doing just that. Thank you Maritza! It is often overlooked, you’re so right. And if people do think of targeting one person, they’re usually thinking of surface info like income and marital status. But pain points are why people buy – targeting based on human emotions will always be more effective than targeting based on demographics alone. Charlie, really, really great post – thank you for this. So many people struggle with and/or don’t realize the importance of having an avatar defined when they start their business. Why wouldn’t you want a single person who you could turn to every single time you come to a fork in the road, or even an entire roadblock? Once you create them, they’ll become your #1 fan, and I can assure you, you’ll become their #1 fan as well. Don’t be scared to get down with that one person, because once you know who they are, you’ll realize that there are thousands more out there just like them. Kate, I love your statement “Don’t be scared to get down with that one person, because once you know who they are, you’ll realize that there are thousands more out there just like them.” It is so true and so well put. So focussing in on one person enables us to focus in on a community in an effective manner! Kate, I love this comment, it’s so spot on! And what a great way to think of your avatar, not just as someone you’re serving but someone who helps you make decisions about your business. Great insight!! Great post Charlie! 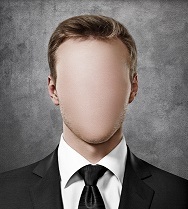 Narrowing down one’s Ideal Customer Avatar is so important to know how to find those individuals. I thought I had developed my Avatar fully and named her “Phoebe”…then after further evaluation of the analytics of my website I realized that my primary customer might be a man. I need to readjust, but at least I am failing forward. Thanks! Great article Charlie! I really like how you defined the avatar and asked some crucial questions about how to brainstorm your perfect avatar. I also enjoyed the infographic which really puts things into simple terms. 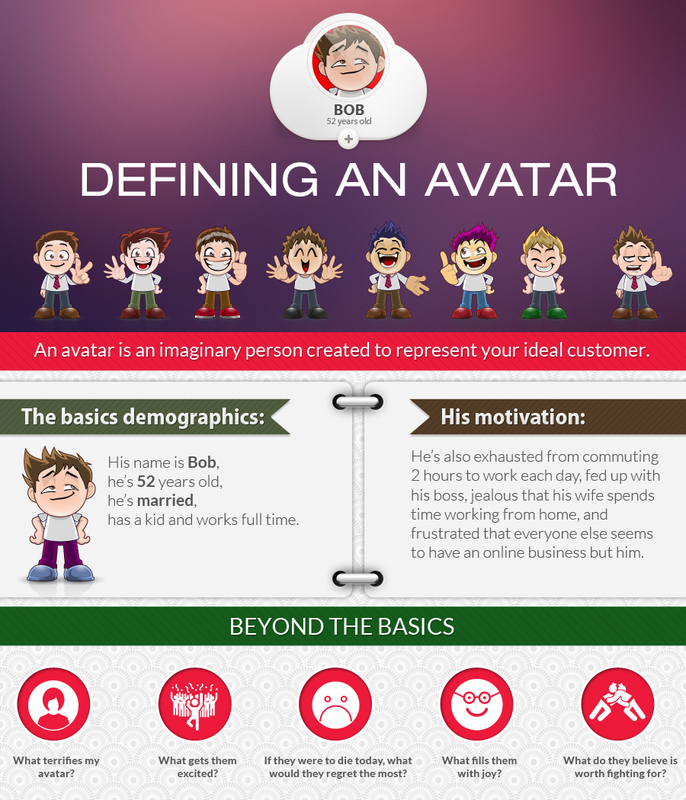 I think defining your avatar is one of the most important things to do when you’re first starting your online business. Charlie – you make a good point about feeling like this is limiting. It is very scary. However, there is no shortage of people out there. People share a lot of core elements, feelings, etc. So, even though you might be thinking of just one person, there are elements of that person’s personality and values that will resonate with so many others and you won’t feel that shortage of customers.. Thanks for the great post.